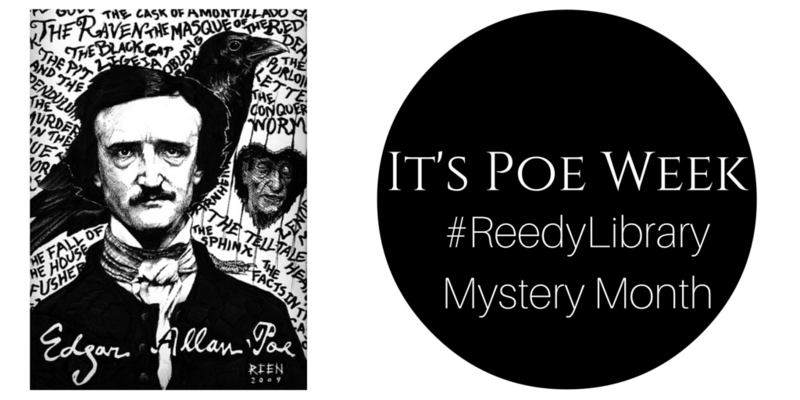 It’s Poe Week in the #ReedyLibrary! All week we will be celebrating this master writer of horror and suspense for Mystery Month! Come check out all the cool Poe stuff we have going on and grab one of the many Poe or mystery books we have on display.